Fish feed is the most important factor in our operations. Feed is by far the largest cost item in our operations. It is a crucial factor for the health and well-being of the fish as well as for the environmental load and impacts caused by the operations. We only use industrially manufactured dry fish feed with high energy content in our production. The feed is closely monitored and studied with regard to quality, ingredients and nutrient content. The composition of the feed is based on long-term, continuous research and development activities and experimentation in the feed industry. The goal is to optimise the productivity and digestibility of the feed and simultaneously ensure the well-being and nutrient requirements of the fish. The feed must not contain any substances that are foreign to humans or the environment, and it must contain only biodegradable ingredients. Development activities have significantly decreased the consumption of feed per one kilogram of produced fish, from approximately 2.5 kg to approximately 1.2 kg. This simultaneously reduces the amount of nutrients which the fish are unable to utilise for additional growth and which is thereby released into the body of water, where it may cause harmful environmental impacts. Relative loading, i.e. nutrient emissions per one kilogram of produced fish, is now almost half what it was 10-15 years ago. This has been achieved through increased knowledge and skill, research and advanced technology, and it benefits both us and the environment. As a point of comparison, almost 10 kg of feed is needed for one kilogram of beef. The corresponding figures for pork and chicken are slightly lower, but still far from what is possible with fish. Fish farming is therefore clearly the most efficient way to ecologically produce animal protein and healthy, delicious basic food. Fish feed traditionally contains fish meal and fish oil, which are natural food for fish. 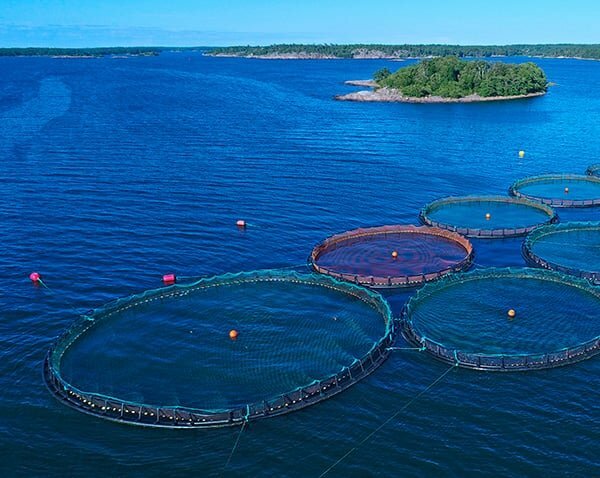 Fish farming is often accused of leading to overfishing of the global marine fish stocks and of the operations consuming more fish resources than they produce. Fish meal and fish oil are limited resources that are in increasing demand. This has forced the fish farming industry to look for new alternative ingredients for manufacturing feed. It has also led to the FIFO (Fish in: Fish out) ratios to become almost 1:1 – i.e. the industry now produces as much valuable edible fish as it consumes wild fish in making feed. As such, the operations are at a sustainable level. Feed manufacturers also ensure full traceability for all their raw materials and are thereby able to verify that they meet the requirements of sustainable development and that the fish they use originate from safe fish populations. 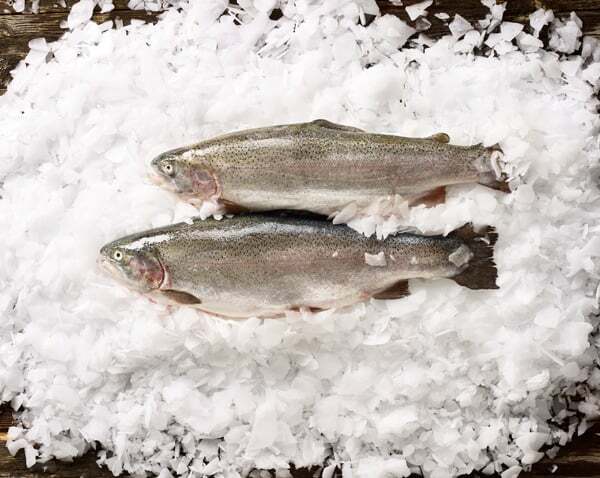 As fish feed is closely studied and controlled, we can guarantee and ensure that our products are clean and do not contain any toxic or hazardous substances that are foreign to humans and the environment. 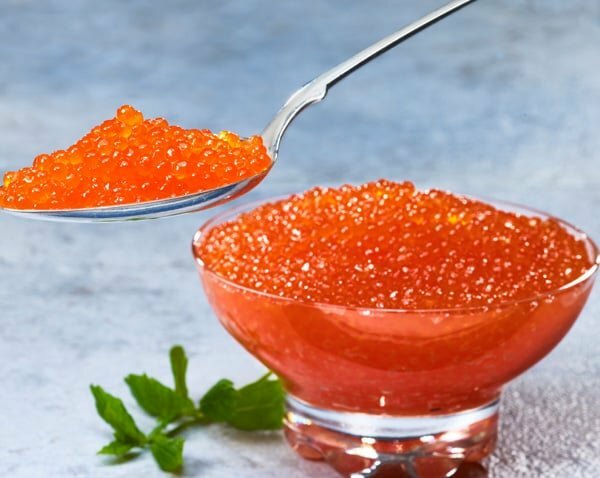 Many scientific studies have found farmed fish to be a light and healthy food source that contains an abundance of vitamins, minerals and healthy omega-3 fatty acids.